They said it was the toughest Super ever. They said it was the most difficult Spartan Race by the mile ever. They said this was a pre-cursor to the Vermont Beast. Who is this “they” that I speak of. Everyone. Literally. Yes, I mean the correct definition of ‘literally’. Elite racers, open racers, Spartan staff, Hobie Call, & me. It is unanimous that this one was a different sort of animal than we were all accustomed to. 8+ miles of almost constant incline/decline racing. 8,000 feet of elevation change. 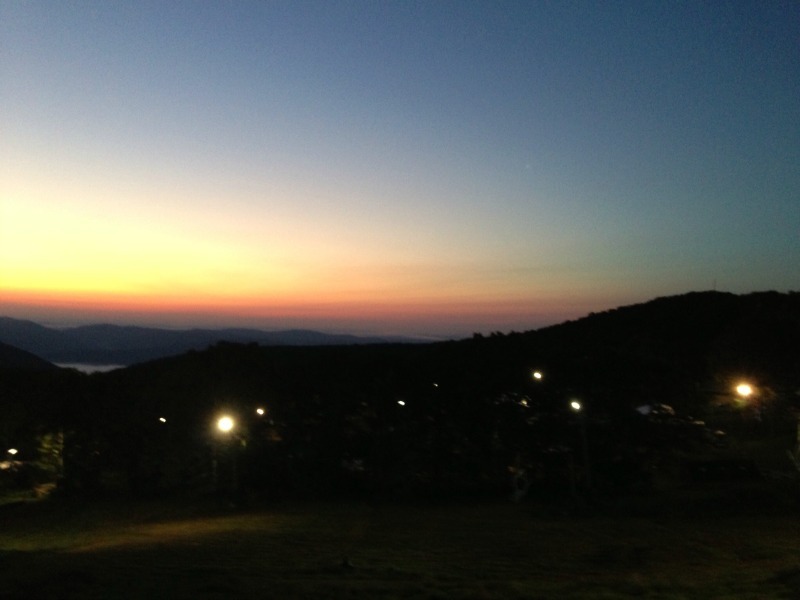 As hard as the treks up the mountains on Wintergreen Resort were, the descents were just as knee-shatteringly difficult. 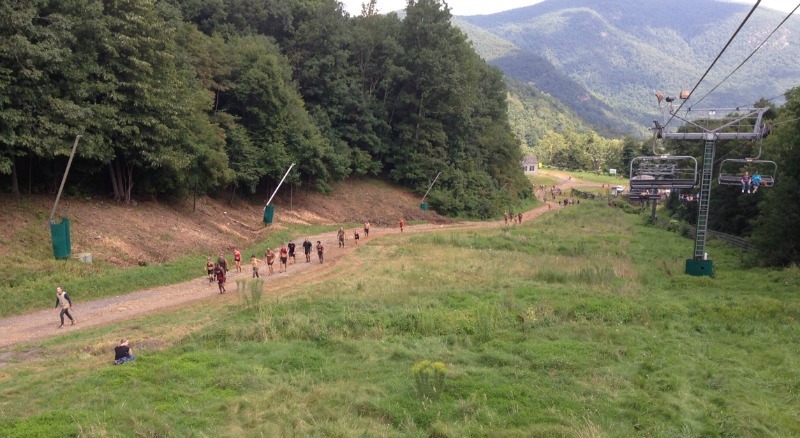 I heard there were scores of DNFs and many finishers felt like they had just traversed the entire Appalachian Trail. Just like I have been unable to adequately describe the Vermont Beast, I find myself unable to properly put this event into words. The venue in the midst of Virginia mountains was gorgeous. The obstacles weren’t that different or any more difficult than other races. Except for maybe the log carry. Yeah, the log carry down the mountain and then back up. That was tough. I went barreling down the hill with my log, but the ascent to the top ground me to a hamstring-cramping, quad-burning, maddeningly-slow, wobbly pace. Up the mountain. Down the mountain. Up the mountain. Down the mountain over water-washed, jagged, slick as snot rocks, boulders and logs. Up the mountain. Down the mountain. There were obstacles, but they were almost forgettable (except for the water slide!) The last mile or so up the mountain knocked everyone down to a hike. Start at the bottom with the tractor pull. Hike up to the inverse wall. Hike some more to the rope climb. One last hike to the horizontal wall traverse. Finally, a chance to stretch the legs and run to the slippery wall. Jump the fire. Take a beating from the gladiators. Accept that hard-earned medal. I’ve had a few days to collect my thoughts on this race and this is what I’ve decided. It was an atypical Spartan Race in that there were few stretches other than the downhills in which you really felt like you were racing with intensity. At the same time it was a typical race in that you never know exactly what to be prepared for and this one caught us all unprepared. It is one of the reasons I love the Spartan racing series. I enjoyed the experience and appreciate the difficulty level of it, but it wasn’t fun for me. Amesbury was fun. Indiana was fun. Midwest Super was fun. Vermont is fun. This was just a grueling battle to the finish line and that’s okay. One of the unique things about this sport is that every race can challenge you differently. I learned some things. I’m really good at downhill running — passing people right and left. I’m not very good at mountain climbing — getting passed by the same people I just blew by on the way down. I don’t like racing up mountains. Hills are great. Mountains, not my favorite. My finish of 2:56 was 87th among the elites and 137 out of 4985 overall. It was okay at best. I didn’t continue my ascent up the ranks like I had been, but I didn’t slip backwards either. Given that this one didn’t suit my strengths, I’m satisfied. Amidst all the grumbling, the moaning, and the post-race pain, I will say that Spartan delivered. If my Spartan family goes back, so will I! That’s the Spartan spirit! I’ve been amazed at all the people complaining and crying foul after this event. 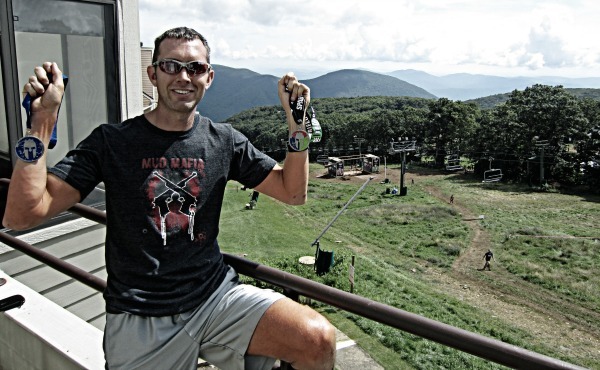 Spartan Race says they’ll push you to your limits and beyond via methods that keep you on your toes. #Aroo! I agree that the race was not “fun,” but I loved the challenge of it. I saw a lot of teamwork, and enthusiasm out on the course, and will happily return next year. This was my first adventure mud run and I am no athlete but my friend and I finished it. It took 6 hours for us but we were proud at the end and said we would do it again any day. As painful as it was we had fun and wouldn’t skip the chance to do it again. Fantastic! Hope to see you at another race some day.